How has your weekend been so far? The good weather came back for some days and we hope you made good use of it. The big event is less than three weeks away with the first activities (GIFF Melbourne & Tree Climbing) starting within a fortnight. OMG IT IS REALLY HAPPENING! Official The Melbourne Event Merchandise. How to Obtain the Unobtanium. First things first: We’d like to thank our awesome sponsors, who have helped us put this whole thing together. 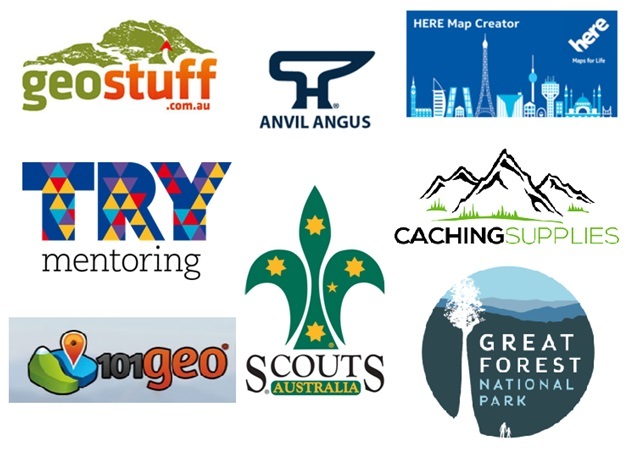 Providing a range of geocaching products as well as the official event attire. If you ever need a firework display. These are your guys. Admit it! You do like shiny things. You probably have used their maps one way or the other. BBQ and Fireworks, GC63717 in Tooradin. Of course we are super-excited about this one. Imagine it! grab a wrist band head over to where the scouts are cooking and eat to your hearts content! All for absolutely nothing! How good is that? If you’re attending the Meet the Mountaineer session on Saturday, we’ll give you a wrist-band so you don’t have to rush. Drinks will be available for purchase from the scouts, or you can bring along your own (non-alcoholic). Sorry our music act had to cancel – he will be on a last minute bucks night. 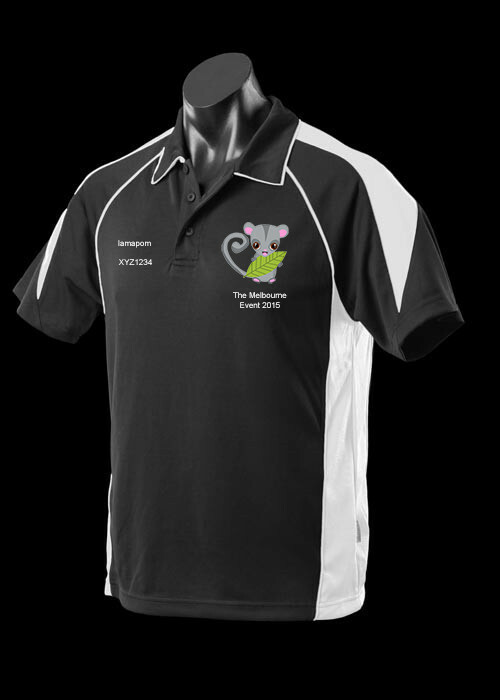 A range of official Melbourne Event 2015 merchandise is available from our sponsor Geostuff.com.au. 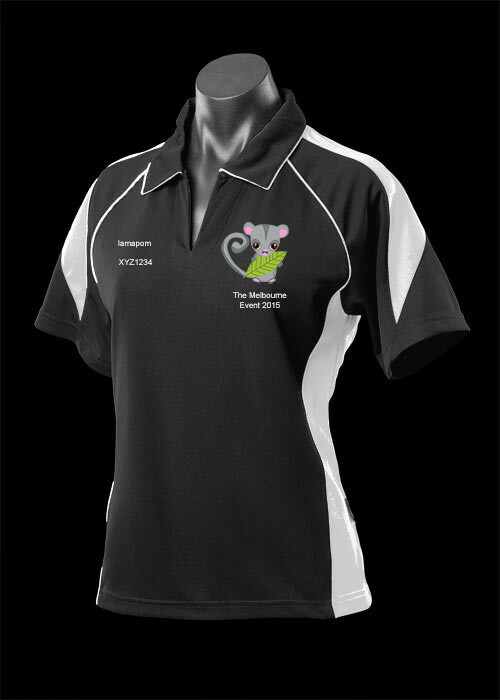 The Official Polo shirts, with lovely Fern embroidery on the chest, are available in a good range Men’s, Women’s and Kid’s sizes. Also available are official embroidered Caps and Beanies! The Polo shirts, and other official merchandise will be available from the Geostuff stall at the event, although they are also available right now online at Geostuff.com.au for you to reserve and pick up at the event, pickup at the Geostuff retail store, or have delivered directly to you beforehand if you choose. Sorry, the pathtags have sold out but there are still some very nice geocoins which can be purchased our pre-sale page. In fact the coins have arrived at Fern’s Forest Fairy HQ and they are awesome. If you can’t wait to see one in the flesh check out the trackable code MEGABM and discover it now. These coins can be picked up at the event, or for a small postage fee, we can send them to you once we have them. You’re not that fussed about the sessions or games? You just want to hang out with your caching mates, trade shiny things, make new friends and enjoy yourself? You are more than welcome to do that! In fact we got a whole field dedicated for exactly that. 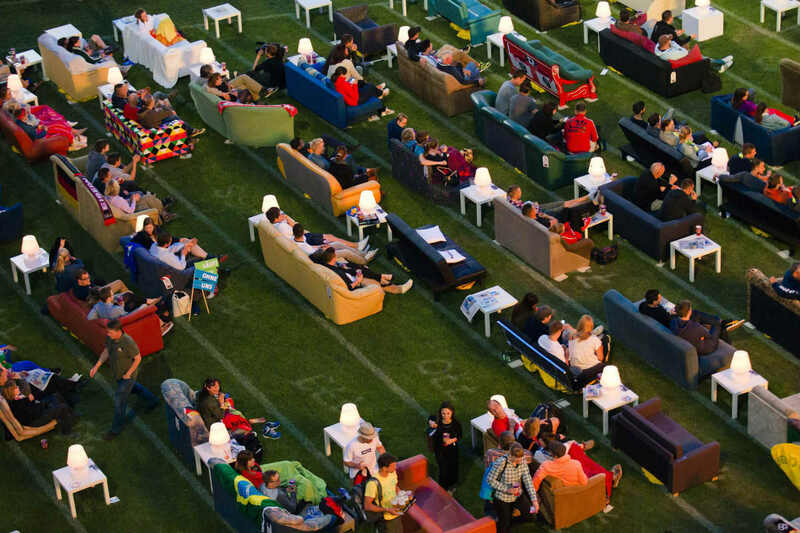 Bring your camping chair, marquee, couch*, bed-side table and picnic blanket and enjoy the sunshine (fingers crossed!). * If you actually bring a couch, you have to take it home at the end of the day like everything else. The field can’t be accessed with vehicles so you have to carry everything in and out. You will be able to take a wonder around the many amazing stalls that will be set up at the MEGA. You will be sure to find some really cool stuff and probably learn a whole heap as well too. FTF Raffle Draw. Yep, when you log your attendance in our log book at the registration desk, you will have the option of buying tickets in our FTF raffle draw. Tickets are only $1 each and you can buy as many as you like, proceeds go to The Friends of the Leadbeater Possum. 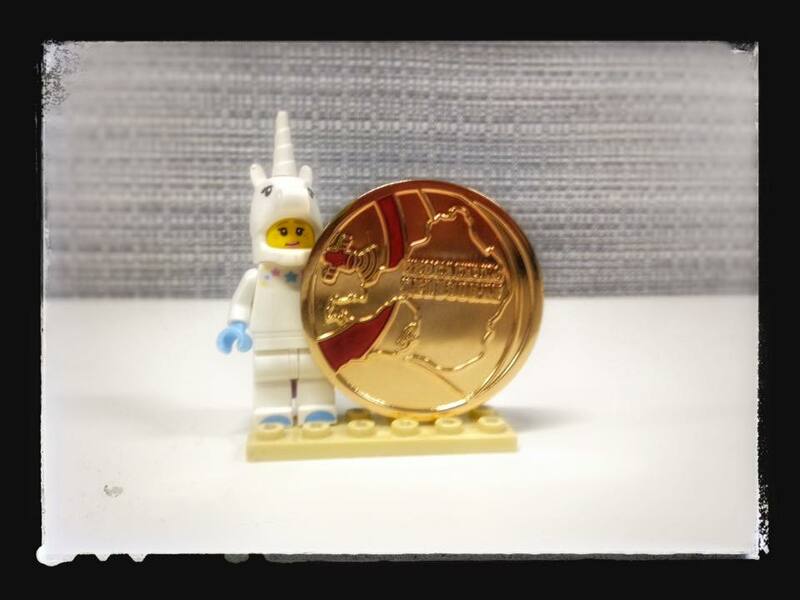 The winner not only gets to claim FTF on the first MEGA event in the state of Victoria, but they also get one of the unobtanium “Melbourne Event 2015” geocoins! Bingo. What would a large scale Geocaching Melbourne event be without a large scale BINGO competition? Grab your bingo sheets at the registration desk and set about ticking off the boxes. Submit your completed forms and you too may have a chance at nabbing the top prize, an unobtanium “Melbourne Event 2015” geocoin! Guess the number of caches. So we have procured a rather large fish tank. We are in the process of filling it with geocaches big and small. Your task is to head over to the TRY Australia stall, buy a ticket and have a guess at how many geocaches are actually in the fishtank. Closest to the pin gets one super rare unobtanium “Melbourne Event 2015” geocoin and all profits go directly to TRY! Widegame. Something a bit different and new. You will need a smartphone with location services enabled on your web browser. Head over to the registration desk to get the details of the places that you are looking for and the link to play the game. Figure out where you need to go. Once there, on your phone, submit your position and caching name “on location”. Our central computer will tally the results live back at HQ at the pavilion at Casey Fields on the big screen for all to see. Those who complete the game will go into the draw to win prizes, the ultimate prize of course being the hallowed unobtanium “Melbourne Event 2015” geocoin! 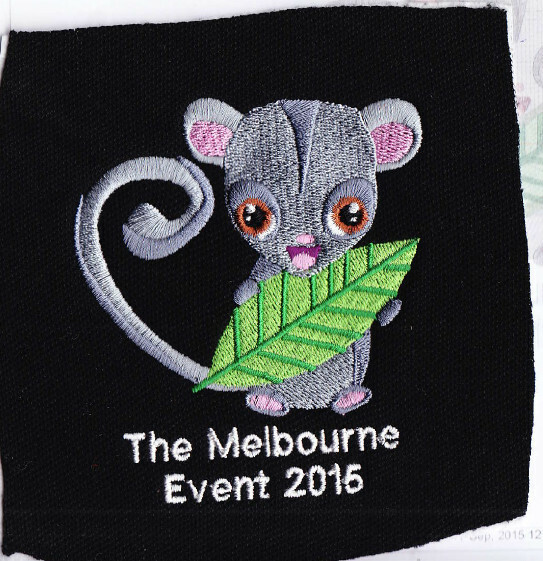 Next Next post: The Melbourne Event 2015 – Final Pre-Event Blog Post.